To meet the growing needs of the U.S. marketplace, Yokohama Rubber Company established a North American manufacturing and marketing arm - Yokohama Tire Corporation. 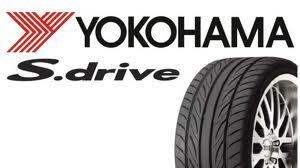 Since its beginnings in 1969, Yokohama Tire Corporation has experienced enormous growth. Yokohama Tire Corporation maintains U.S. manufacturing capabilities and distribution centers throughout the country, servicing a network of over 4500 points of sale nationwide. Yokohama has a well-earned reputation at the racetrack. Yokohama's motorsports program, which throught the years has expanded from sponsoring individuals to sponsoring entire racing series, is a perfect environment for testing tire technologies that result in developing better street tires. Yokohama puts tires to the test. Tire companies are waging a constant battle to put a bigger footprint on the market, whether it's in original equipment rubber or for replacement share. Yokohama has driven itself into a substantial share of the performance tire niche and now it's looking to leave its mark on the sport utility and light truck segments.